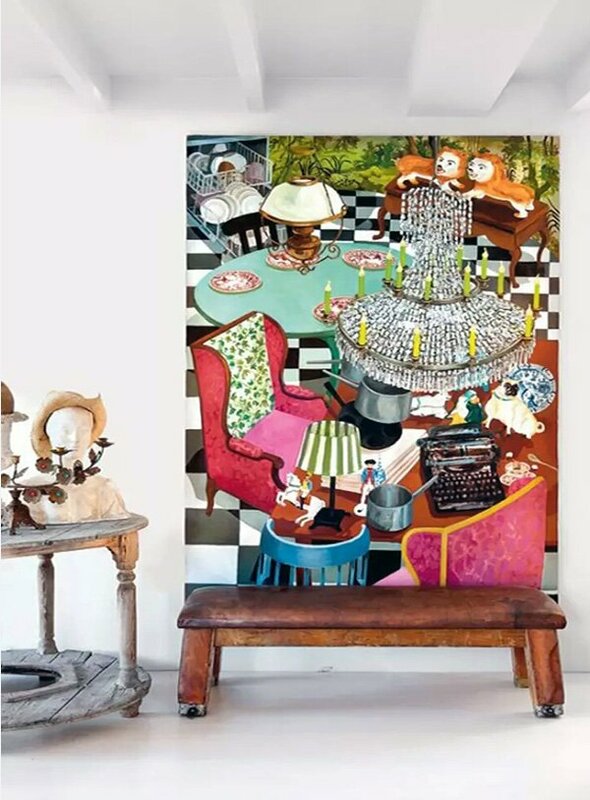 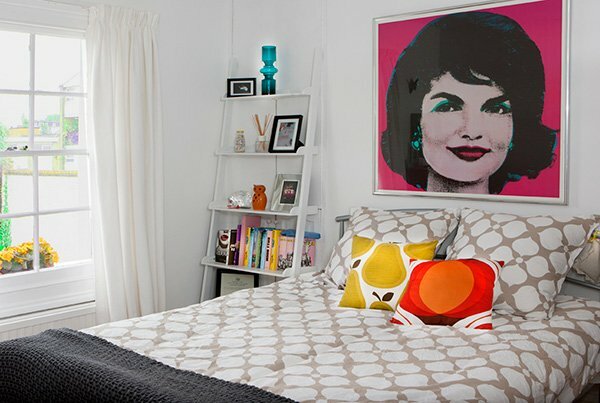 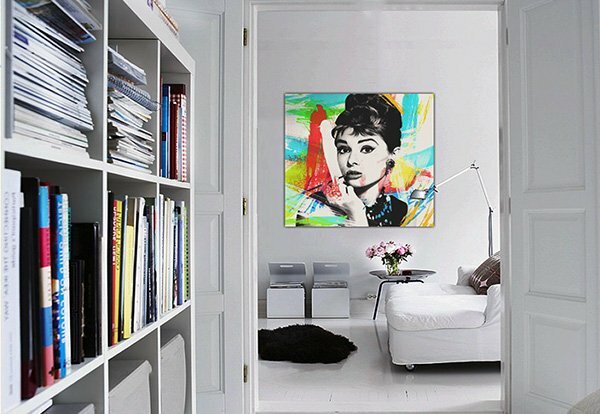 One of the best ways to create a dynamic and fun atmosphere is definitely bringing pop art into your home. 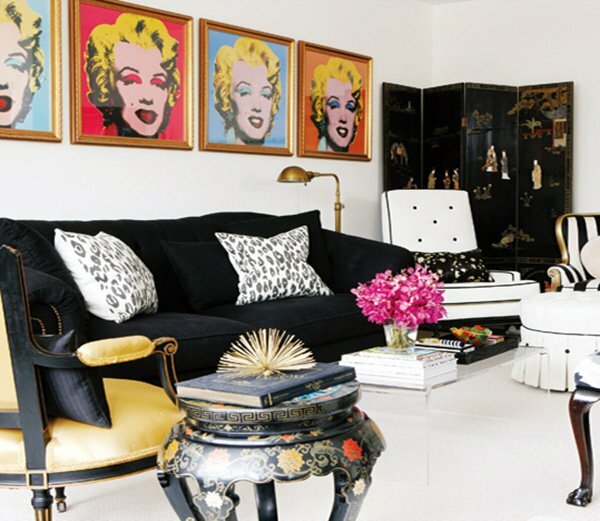 This colorful and flashy trend offers a bold style and certainly brings a character to the room. 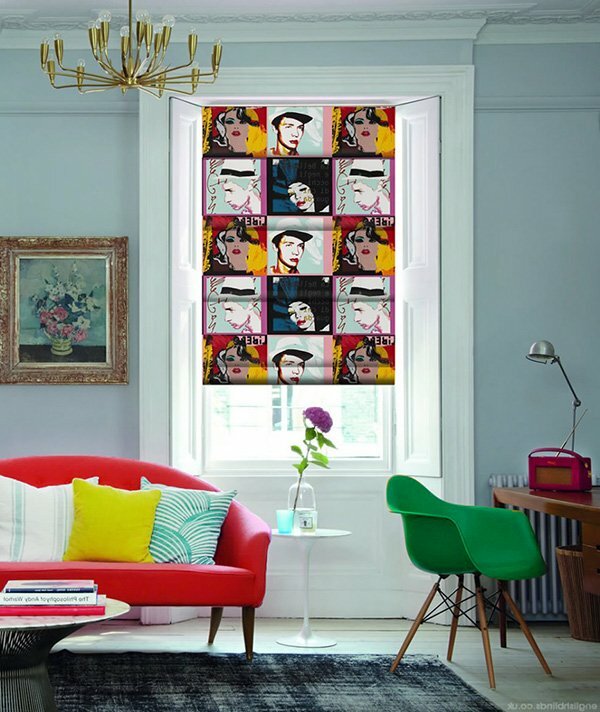 Emerged in mid-1950s in Britain, pop art movement challenged the traditions of art by making use of popular culture. 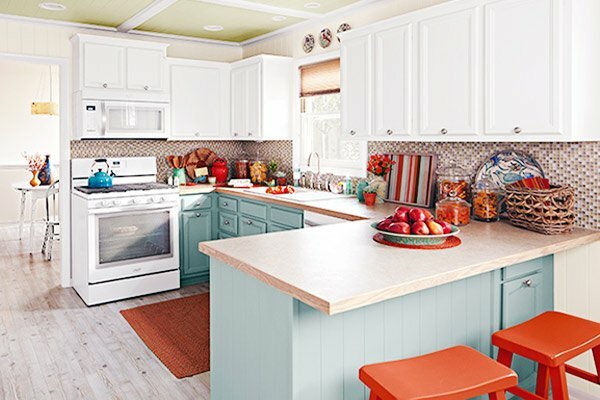 This movement has made its way into our homes through decoration, and you can create your own challenging and creative environment with it by using bursts of colors and thus creating a fun, cheerful space while bringing character to the room. 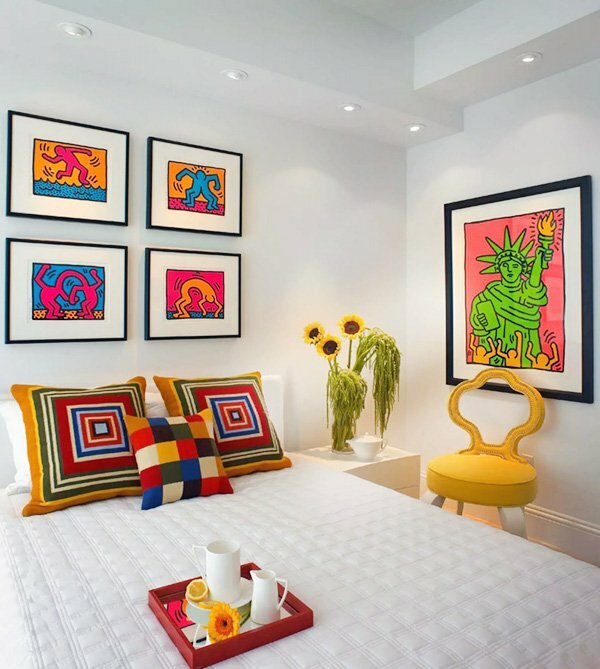 This style mainly consists of vibrant, flashy colors, sharp texture, modern print, and pattern combination. 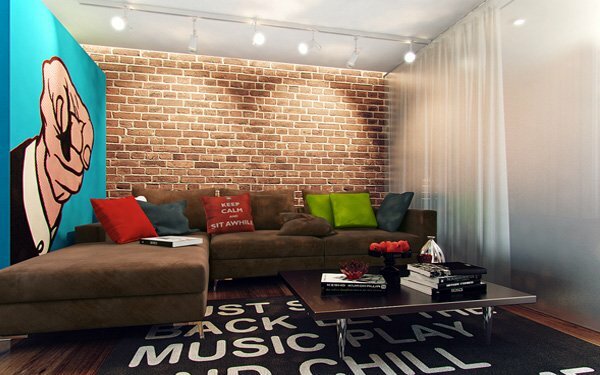 So, first and foremost, you can start with some wall art. 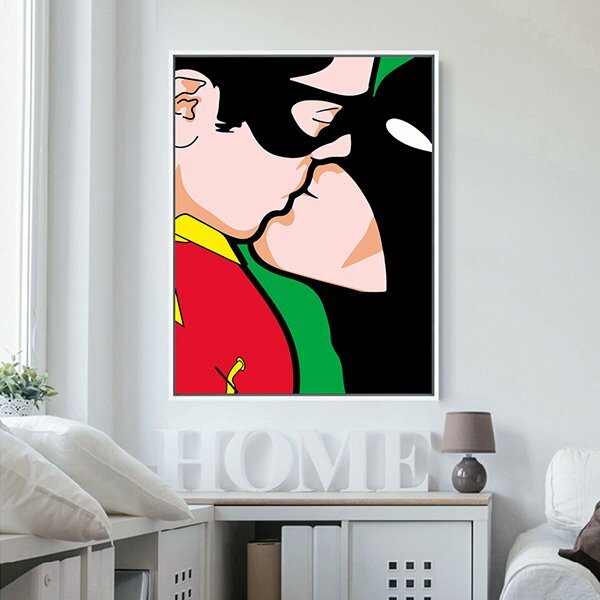 Whether in your living room, bedroom, or hallway, you can hang some posters associated with this movement (posters combining some aspects of advertisement, comic books with popular culture of the time). 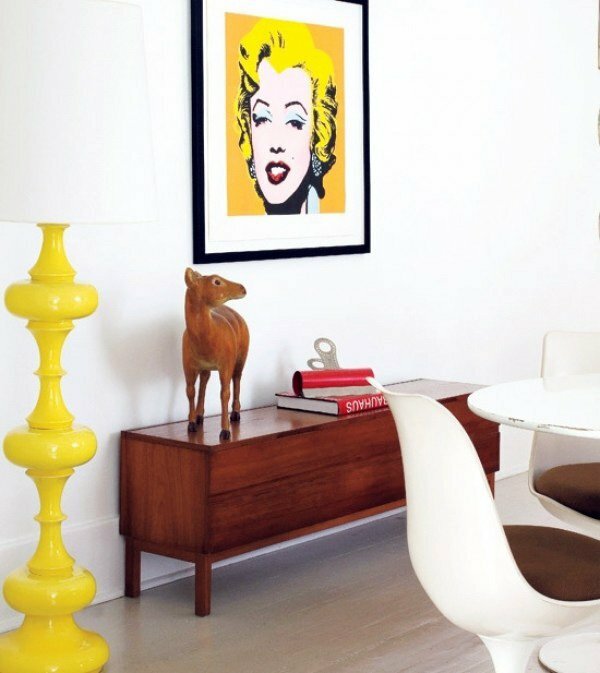 You can use colorful furniture or accessories, or opt for a rather classy style with minimalism while still offering some pop art elements with a few wall pieces, table accessories, and such. 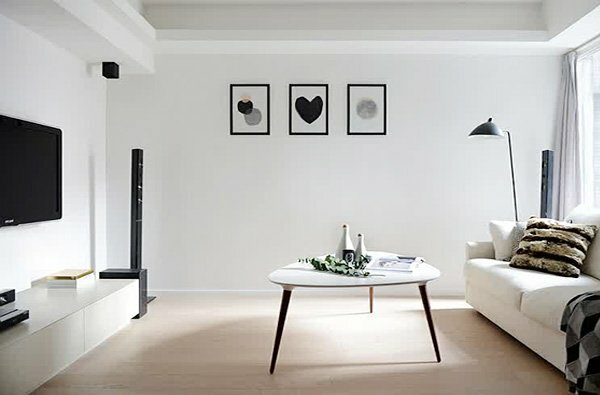 If you have a white, bright hallway for example, you can paint one wall with a striking color and use some wall art on the other one, thus create that dynamism while still maintaining simplicity. 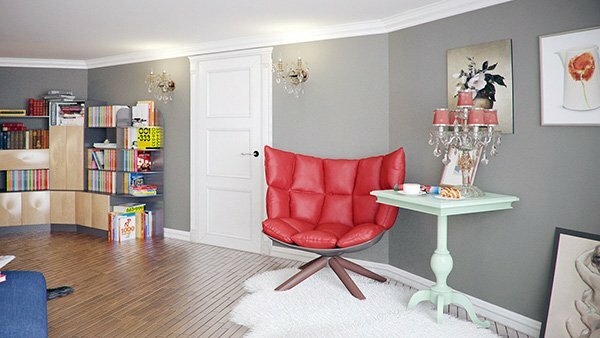 If you are not that big a fan of vintage Hollywood posters or cartoons, you can use other styles of illustration work and still achieve that dynamic look. 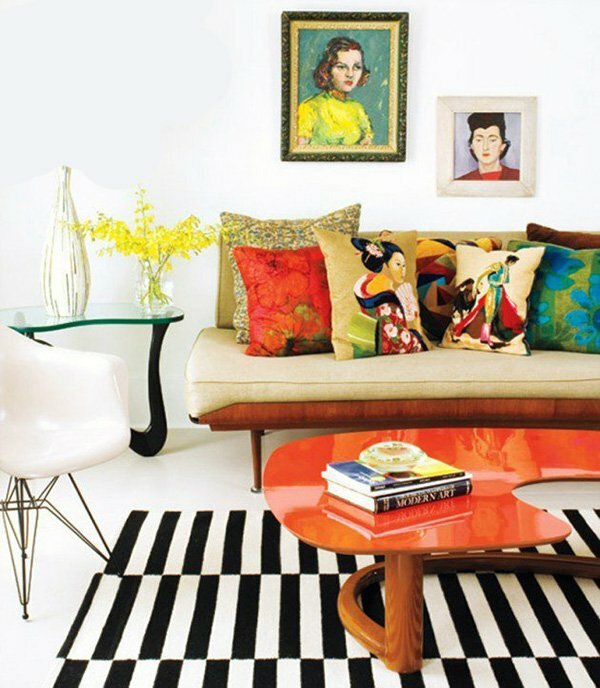 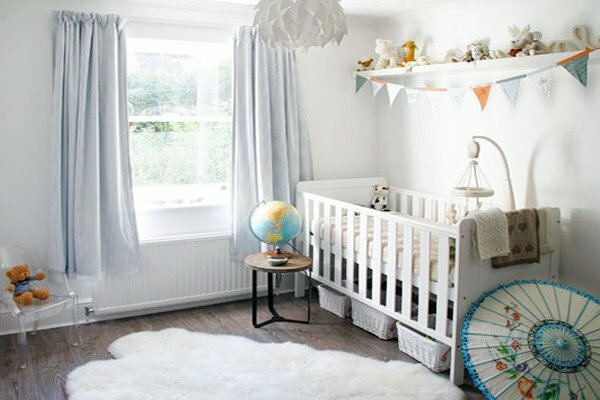 In addition, you might want to use patterns and colors on rugs and carpets, and on your pillows as well. 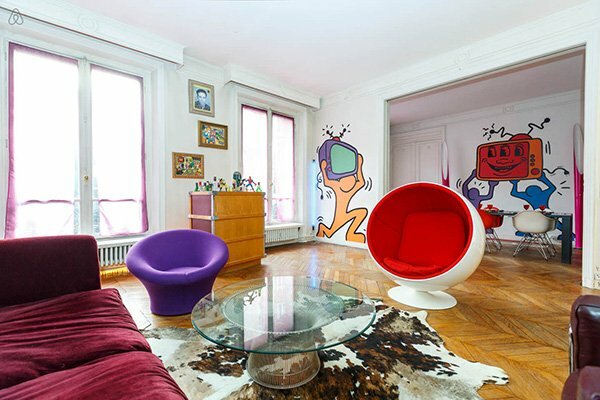 Looking to create a dynamic, fun, flashy, and retro space? 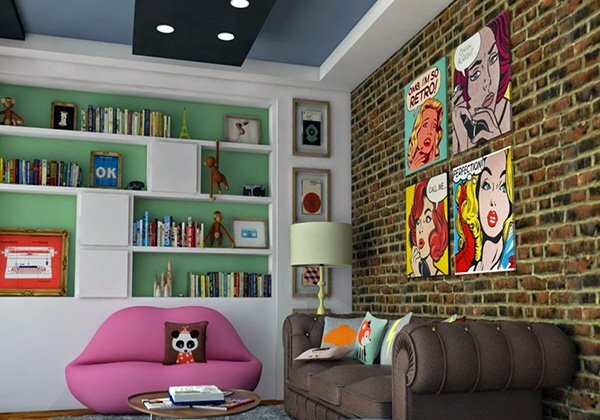 Take a look at these fabulous, bold, and impressive interior designs inspired from pop art!